Beth and Greg Aronson are Quad Cities natives and proud alums of Pleasant Valley High School. In 1999, they combined their passion for coffee and community and opened Coffee Hound, one of the Quad Cities' first drive-thru coffee shops. 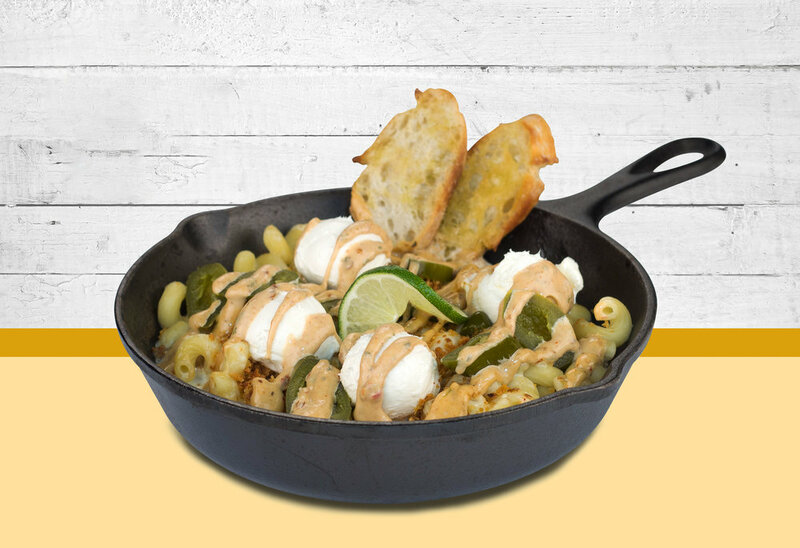 Now, they bring their passion and expertise to the restaurant industry with Cheesy Cow Mac & Cheesery. At Cheesy Cow, diners can enjoy a quick, freshly prepared, and satisfying meal in a bright, fun, refreshing atmosphere. 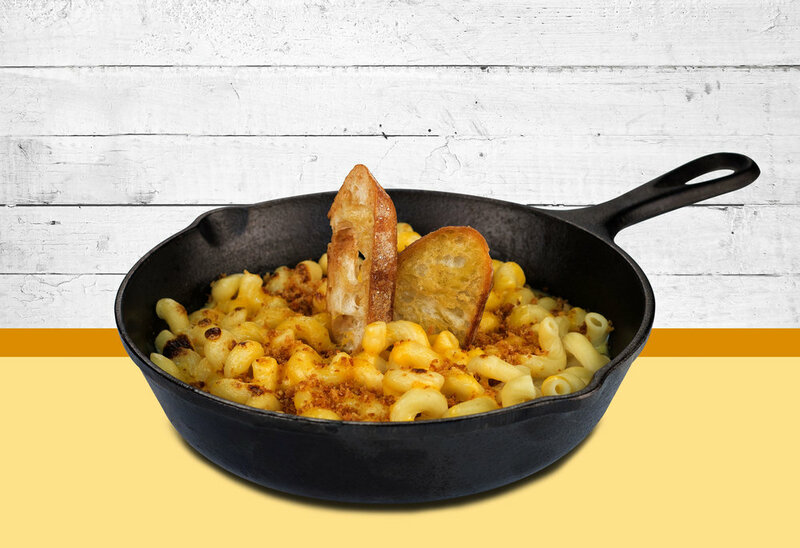 All macs served with cavatappi noodles & are topped with toasted buttery panko breadcrumbs, and served with 2 of our signature crispies. Cheddar Mac Sauce, topped with fresh cheddar cheese. Cheddar Mac Sauce, topped with all beef hot dog slices. Pepper Jack Mac Sauce, Jalapenos, cream cheese, shredded perpperjack cheese, lime, drizzled with red hot sauce. Pepper Jack Mac sauce, chorizo, tortilla strips, salsa, sour cream, cheddar cheese, drizzled with chipotle aioli sauce. Cheddar Mac sauce, Angus beef patty smothered in cheddar cheese, onion, lettuce, tomato and pickle. Cheddar Mac Sauce, buffalo chicken, bacon, blue cheese crumbles, cheddar cheese, drizzled wing sauce. Cheddar Mac sauce, grilled chicken, bacon, drizzled with ranch. Cheddar Mac Sauce, pulled pork, cheddar cheese, drizzled with Moonshine BBQ. 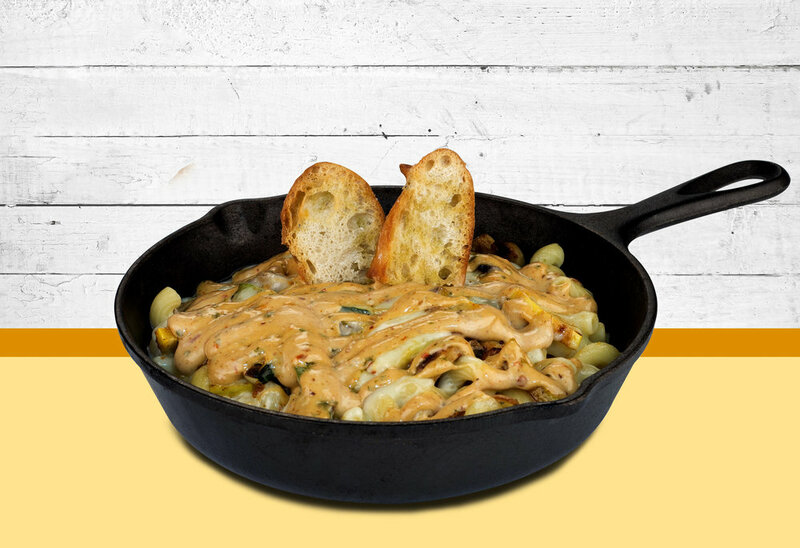 Cheddar Mac Sauce, voodles, onion, mushrooms, green peppers. 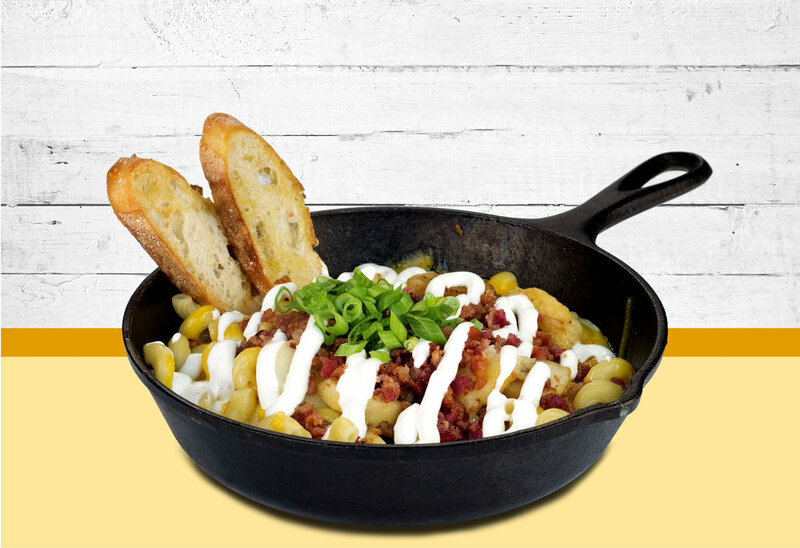 Cheddar Mac sauce topped with slices of baked potato, bacon, scallions, & sour cream. Cheddar Mac Sauce, corned beef and sauerkraut, pickle slices, drizzled with 1000 Island Dressing. All melts are served on sourdough bread with chips and a pickle spear. Pulled Pork smothered in cole slaw, Mozzarella, & Moonshine BBQ sauce. Bacon, lettuce, American cheese, tomato and chipotle aioli sauce. Mixed greens topped with tomato, onion, cucumbers, & Mozzarella cheese drizzled with ranch dressing. Mixed greens topped with blue cheese crumbles, apple slices, toasted cashews, craisins & raspberry vinaigrette. Mixed greens topped with chicken, bacon, tomatoes, cucumbers and Mozzarella cheese topped with Creole dressing. Join the team! Apply Now! T-Shirts & Gift cards available! T-Shirts & Gift Cards make a perfect gift!